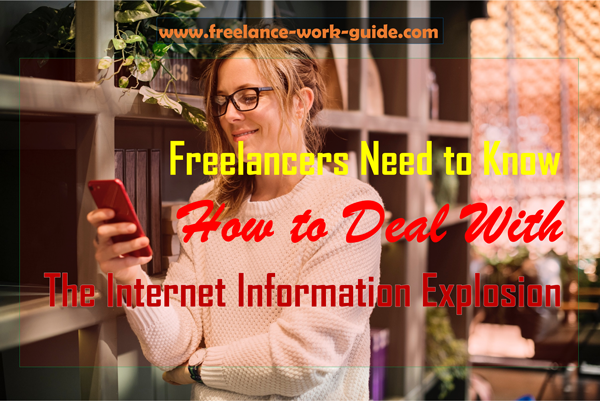 Freelancers need to know how to deal with the internet information explosion. Why Emotional Intelligence matters to freelancers? Critical to freelancers’ productivity is knowing how to deal with the internet information explosion. We explain how this can be done. Anxiety can impact on freelancers at all stages of their careers. We discuss how to manage this common complaint. When the kids are late for school and you start out the day in a bad mood, we explain how to turn your bad mood around quickly. Whether you are a millennial family or a retiree freelancing part-time, exercise is an essential part of work-life balance. Families can take a new approach to this issue as explained by Mum and fitness coach, Denise Locsin. "The Rule of Three" is a powerful management technique that freelancers can use to get better results from the priority of their ToDoList. Upwork has released its 2018 first quarter results for its freelancing skills in demand. Guess what the top three are!